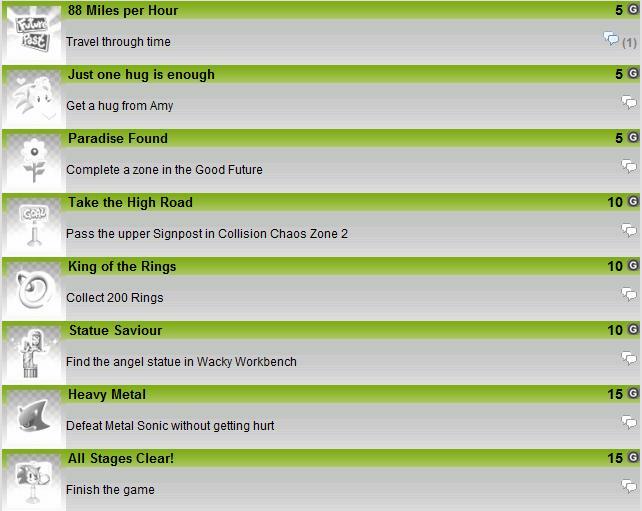 Xbox360Achievements.org has revealed some slightly spoiler-ish achievements for Sonic Generations. 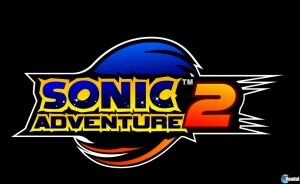 This includes getting achievement points for talking to all of Sonic’s friends and completing their challenges. Many of the achievements still remain in secret. 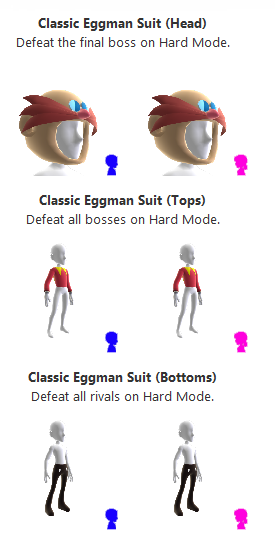 Apparently, there is also a hard mode in the game, as it is the only way to get a Classic Eggman avatar costume seen below. With just over a month before the game’s release, we are getting into spoiler territory now. For those who don’t want spoilers, it might be prudent to start passing over any more Sonic Generations news so you can be somewhat spoiler-free before the game’s release. 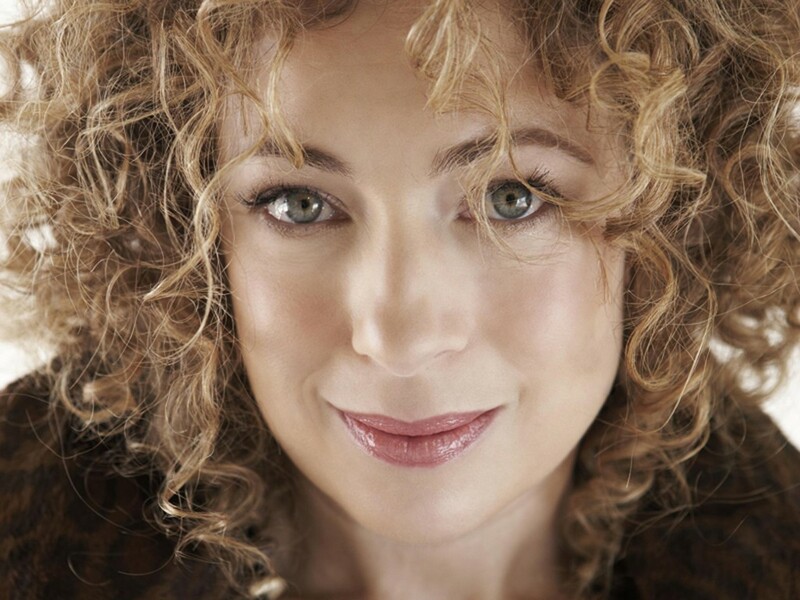 Bet’cha didn’t think a yank could make a Dr. Who reference eh? 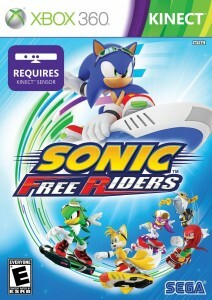 The Achievements list for Sonic Free Riders has now been revealed. The game contains 50 Achievements, with a total Gamerscore of 1,000G. 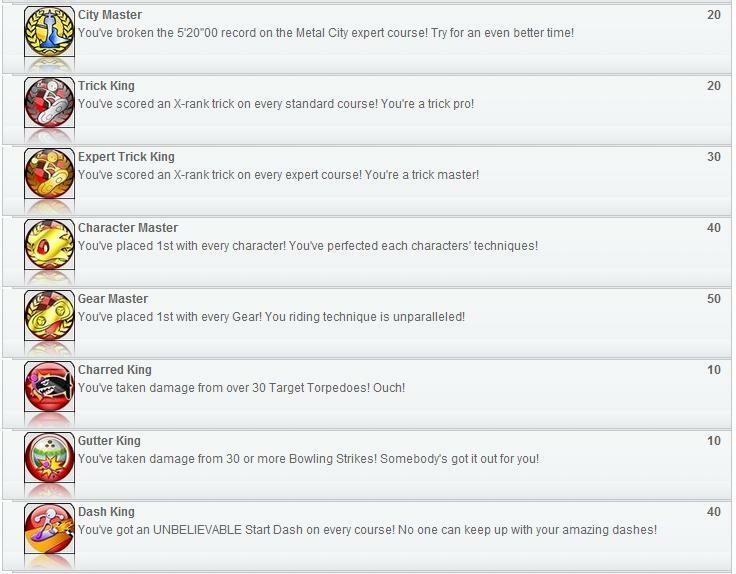 There appears to be quite a variety of challenges to keep players busy, ranging from time attacking, using weapons so many times, collecting rings, unlocking things and more. 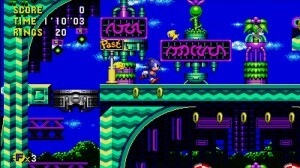 The list also reveals some track names and some previously unknown modes in the game. 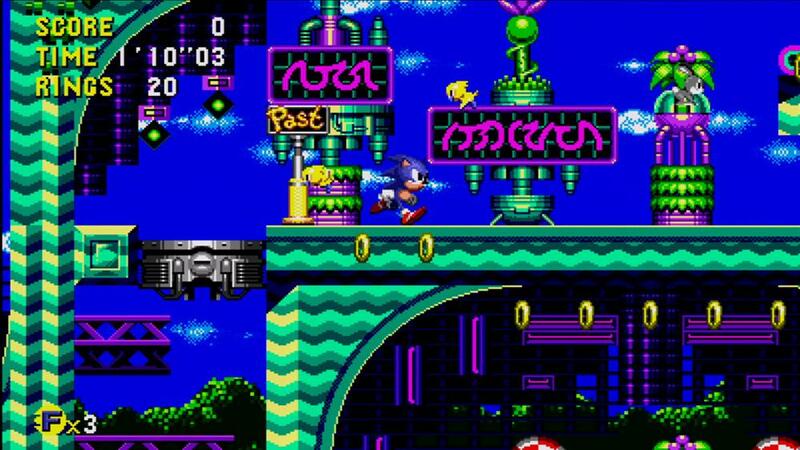 Use Sonic’s All-Star Move to take out Dr. Eggman and show him who’s boss! 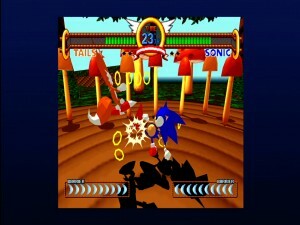 Use Amy’s All-Star Move to send Sonic dizzy with love! Use Ryo’s All-Star Move to take out Jacky and Akira and show them who’s the ultimate martial artist! Use Billy’s All-Star Move to squash the Crows! Perform three tricks in one jump with Beat on Tokyo-to – Shibuya Downtown. You can check out the list in full here. 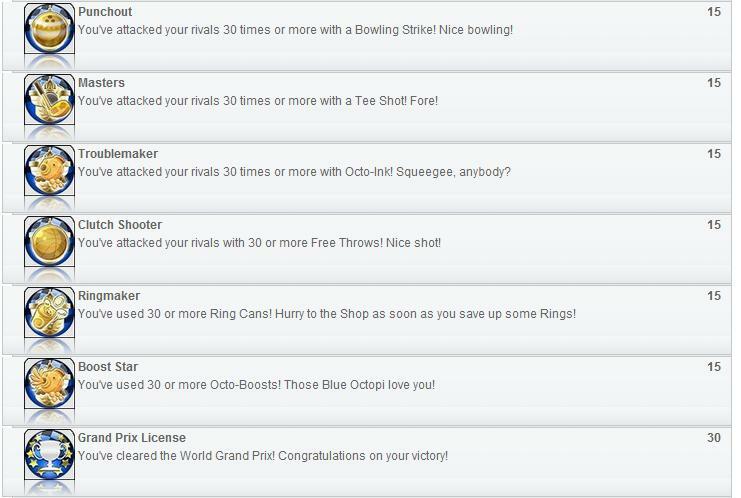 PS3Trophies.org have also revealed the Trophy list for the PS3 version which as you would guess are the same as the Xbox 360’s Achievements. At present they do not have pictures and the Secret Trophies haven’t been revealed yet but will likely be the same as the Xbox 360’s Secret Achievements. 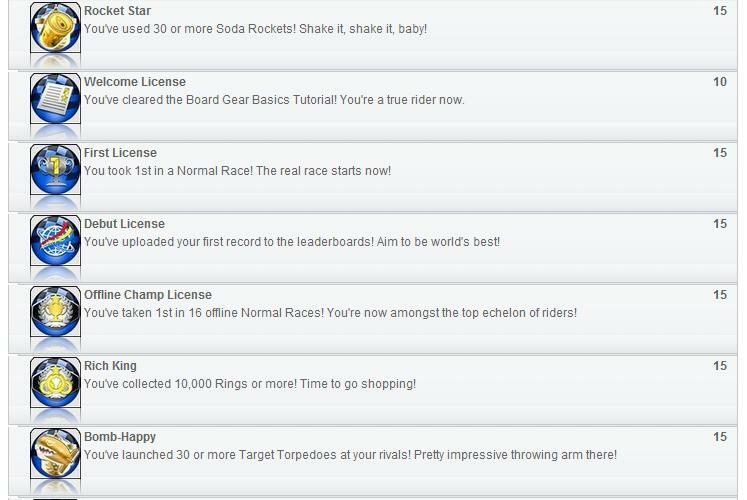 The Achievements list for the Xbox 360 version of Sonic & SEGA All Stars Racing have now been revealed. The game has 50 Achievements with a total of 1000 Gamerscore. Take out an opponent with each character’s All-Star Move. Play a friend over Xbox LIVE. 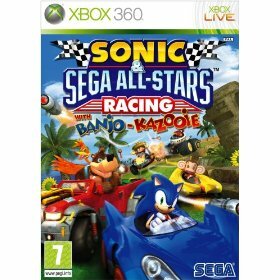 Win any race over Xbox LIVE. Lap a trailing player in a race over Xbox LIVE. Take out opponents with items one hundred times over Xbox LIVE. 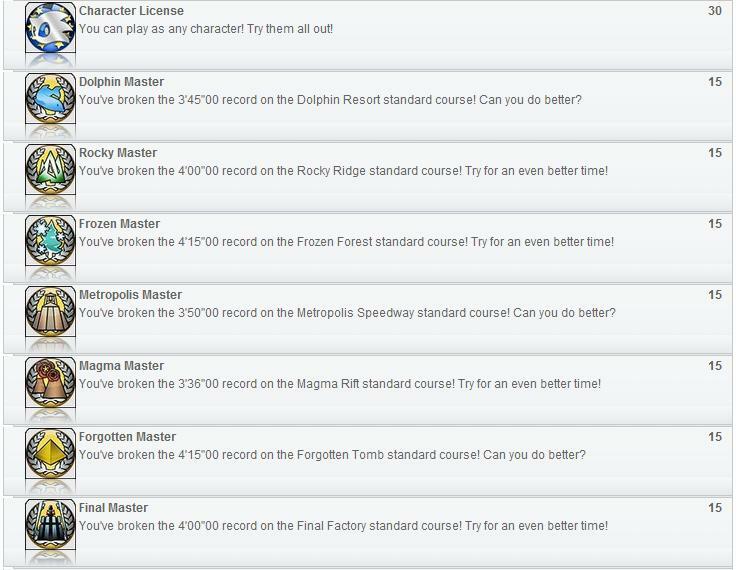 Earn every achievement in the game. 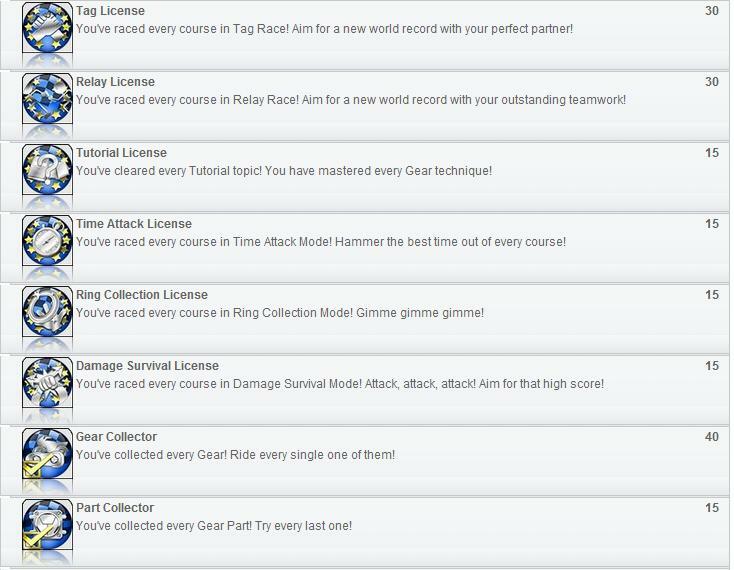 Nothing new is revealed except that the game will allow you to get a boost at the start of the race like in most kart racing games but there are some cool nods to SEGA’s history. 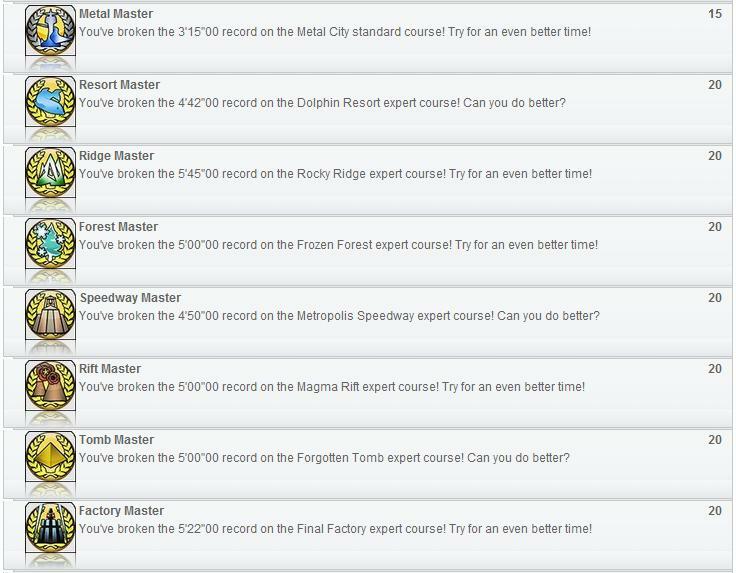 The Trophy list for the PS3 version is yet to be revealed but will likely be just the same as the Achievement list but with an added Platinum trophy for earning all Trophies however it may be something unique since one Achievement oddly already has that task covered with the Ultimate Collection Achievement. We’ll let you know when the Trophy list hits the net. 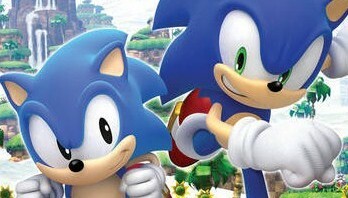 Joystiq’s PS3 blog PS3 Fanboy have updated their list of upcoming games that have PS3 Trophy support and among the list is Sonic Unleashed. No sign of a list of the Trophies yet or the Xbox 360 Achievements list yet but no doubt they will be the same like alot of other multi-platform games. 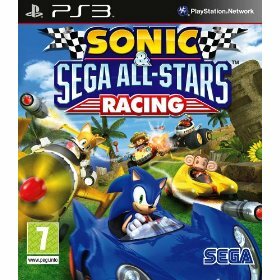 Good news though for PS3 fans looking to get the game and get their moneys worth or owners of both consoles who might only opt for the Xbox 360 version over the PS3 version for Achievements. We’ll update with both lists as soon as they are available.